(Just so you know: This isn’t the cover. It’s just a teaser. There are a lot of exciting moments as an independent author. There’s the moment we type the final period on the first draft. There are all of the discoveries as we research the publishing process, such as how to acquire a Library of Congress Control Number or when we purchase a formatted copyright page. But one of the most exciting moments — second only to holding the freshly published book in hand — is when we get to see the cover. Yesterday the cover art arrived in my inbox. Every time I see an email from Hannah, there’s that split second in which I wait to open it. There is joy in savoring the heightened anticipation. But then the curiosity and excitement get the best of me, and I urge my computer to download the attachments faster. Upon seeing the completed cover art for the first time yesterday, I couldn’t be happier. And I couldn’t wait to share it. 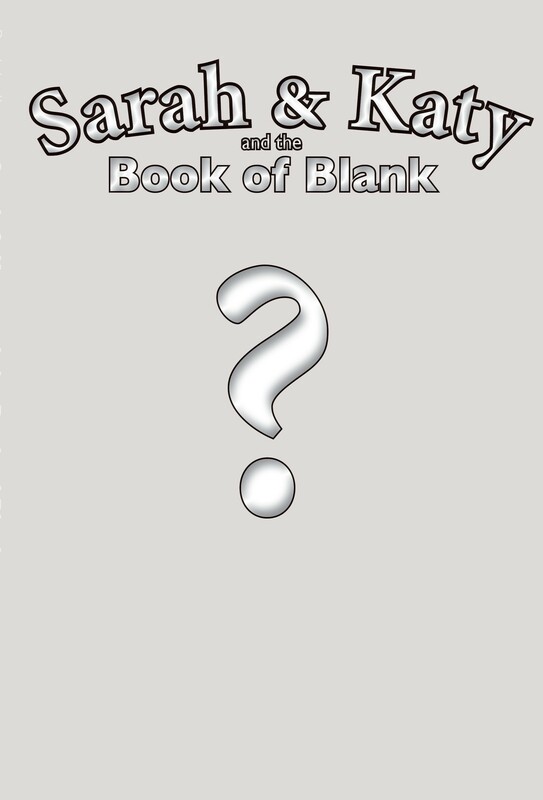 So, ready to see the cover of “Sarah & Katy and the Book of Blank”? 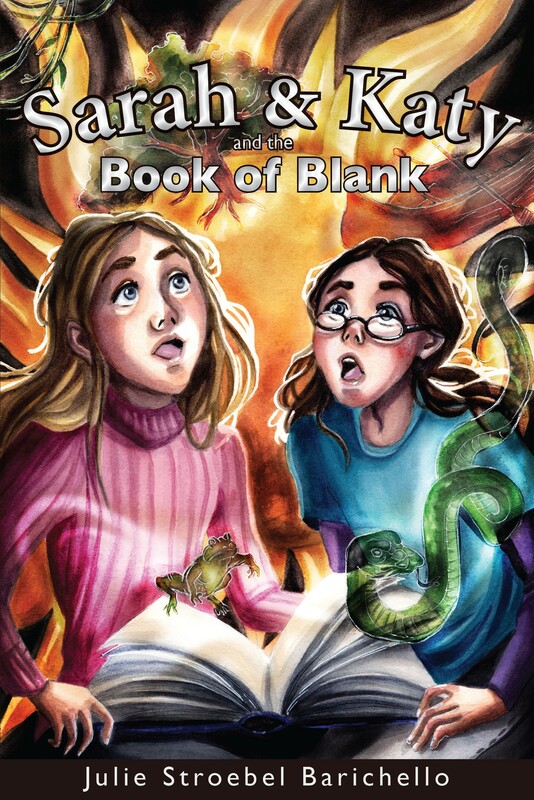 “Sarah & Katy and the Book of Blank” will be released Tuesday, Nov. 24. This entry was posted in Writing and tagged Book Launch, children's books, fiction, independent publishing, kid lit, Sarah & Katy, writing. Bookmark the permalink.